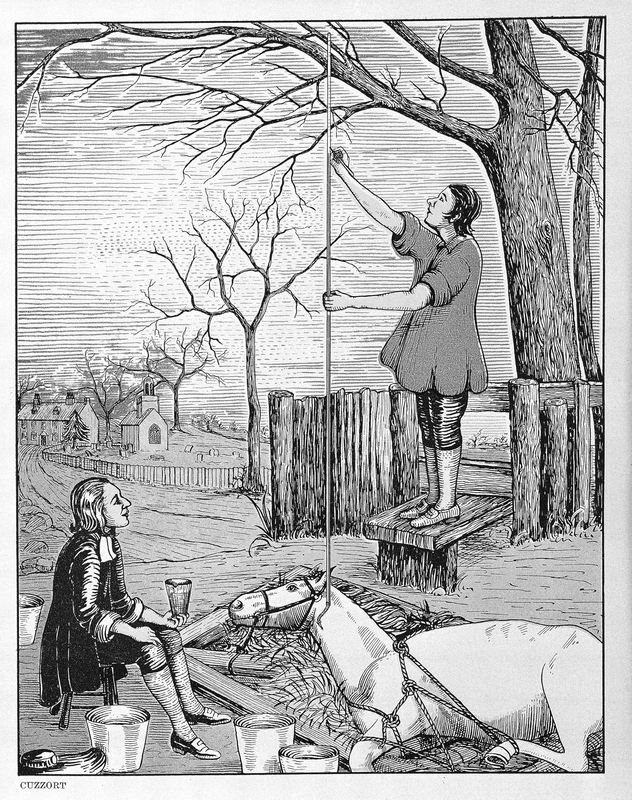 This is an imaginative reconstruction of Stephen Hales’s method of measuring the blood pressure of a horse. He used a glass tube inserted into the neck blood vessels, and noted the level to which the blood rose. ___, “Measuring the blood pressure of a horse,” ourheritage.ac.nz | OUR Heritage, accessed April 22, 2019, http://otago.ourheritage.ac.nz/items/show/11075.